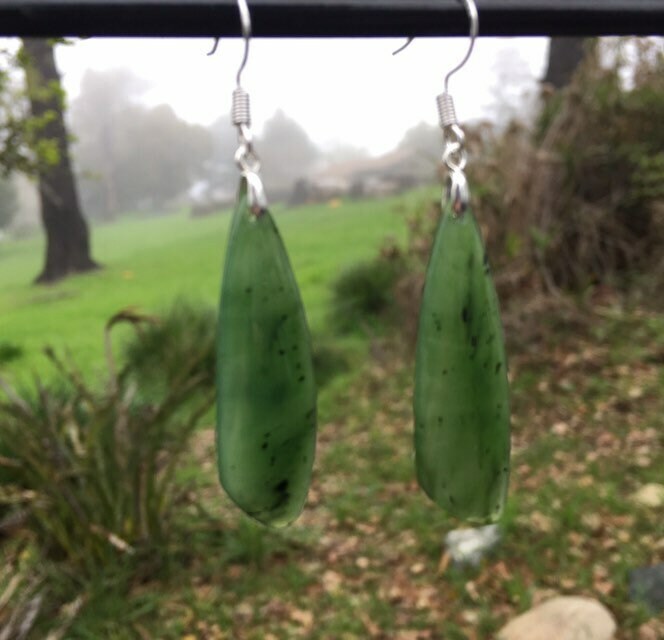 Lovely British Columbia jade earrings! Just look how apple green this jade is! The light shines so beautifully through the stone. 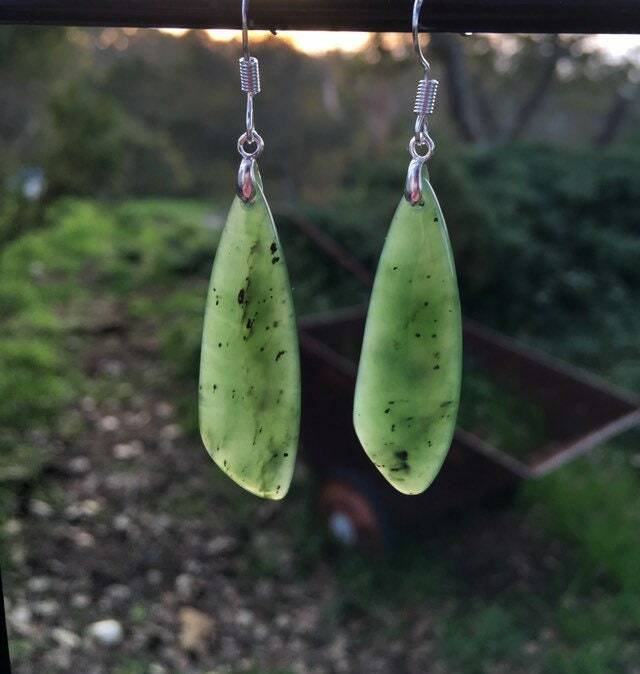 This pair is 1 5/8" long and 1/2” wide. This will be wrapped in tissue paper, put in a gift box and mailed First Class in a bubble mailer.